Enjoy a continental breakfast served by Santa's elves and pose for a photo with the big man in red himself (don't forget to tell him what you want for Christmas!). 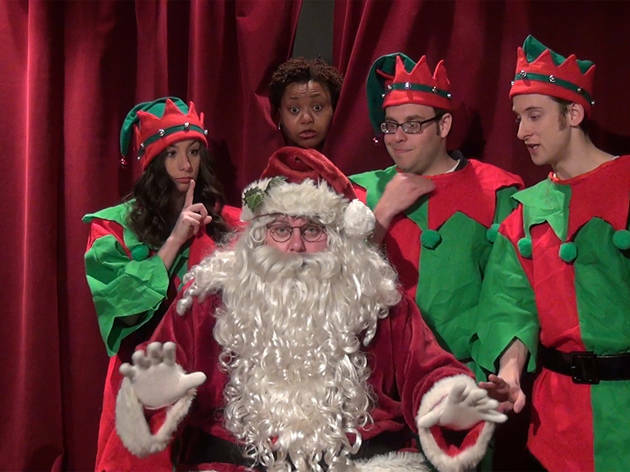 At 10:30am, Santa will host an interactive comedy show featuring music, audience participation and Elfprov (by Improv 4 Kids). Don't be late—seating and Santa photo ops are first-come, first-served. Ages 1 to 7.